 I’ve been blessed to work for PR/PR Public Relations for nearly eight years, and my time spent with this company has afforded me the privilege of working with some incredible people every day. It’s also opened up the opportunity to travel, explore, and grow. Over the last few years I’ve found myself sipping rocket fuel coffee in a square in Bosnia, walking around glacier lagoons in Iceland, and watching sunsets from Dalmatian cliff sides in Croatia. My travels will continue next week, as I’ll be heading to the Iberian Peninsula to spend some time in Portugal and Spain. Most of my destinations tend to be on the colder, gloomier side, so experiencing the Mediterranean will be a nice change of pace. My flight departs next Thursday, April 18th, and I will be returning stateside (and back to the office) on Monday, May 13th. During this time, Russell will be rolling up his sleeves and personally shepherding all of my clients’ campaigns in my absence. Should you have any questions, concerns, or simply want to chat, feel free to reach out directly to my email (or give the office a call) as normal, as Russell will be keeping up with all communication to my email address. I want to extend a sincere “thank you” to each and every one of my clients for your trust and support, and I look forward to continuing our work upon my return.